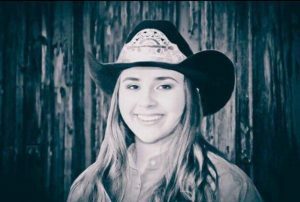 Hello, my name is Mackenzie Hutton and it is my pleasure and excitement to be your 2018 Fair Queen. I was born and raised in Republic and have always looked up to the fair royalty. I am so excited to finally be part of it. I have been in 4-H for 11 years now and during that time I have shown rabbits, goats, dogs, sheep, hogs and horses. I have also entered many items in the exhibit hall. I love 4-H and as Queen, I hope to share my love for our fair with as many people as possible. I’ll see you all at the Ferry County Fair! Hello and welcome to the 75th annual Ferry County fair! My name is Tandice Fletcher and I am honored to be representing this great county as your Princess. Fair time has and will always be the time of year I look forward to most! I began showing lambs as a little girl and as I got older I began to show steers (my favorite)! When I was old enough to show livestock in 4-H, I had dreamed of representing this awesome fair as royalty. I have wonderful memories and lifelong friends and I am grateful for the opportunity to be this year’s 2018 Princess. 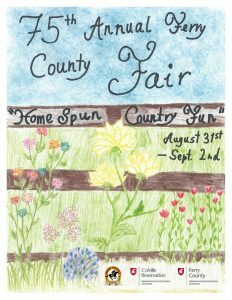 I hope everyone attends the Ferry County Fair and has a wonderful time enjoying all the “Homespun Country Fun” this fair has to offer. This entry was posted in News on May 17, 2018 by ferrycountyfair. Hi, My name is Ella Owen and I am 14 years old. I love to ride and show my Arabian/Saddlebred mare, Cessna. We ride English, Western and Saddle seat. Cessna and I also like to give cart rides to family and friends. I also like to swim, read horse books, camp at Lost Lake and play with my puppy Ringo. 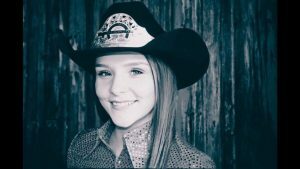 This is my 5th year participating in 4-H and I am a member of the Kountry Kids 4-H Club. The Fair Association would like to thank Ella and all those who participated in our 2018 Poster contest. This entry was posted in News on May 9, 2016 by ferrycountyfair.